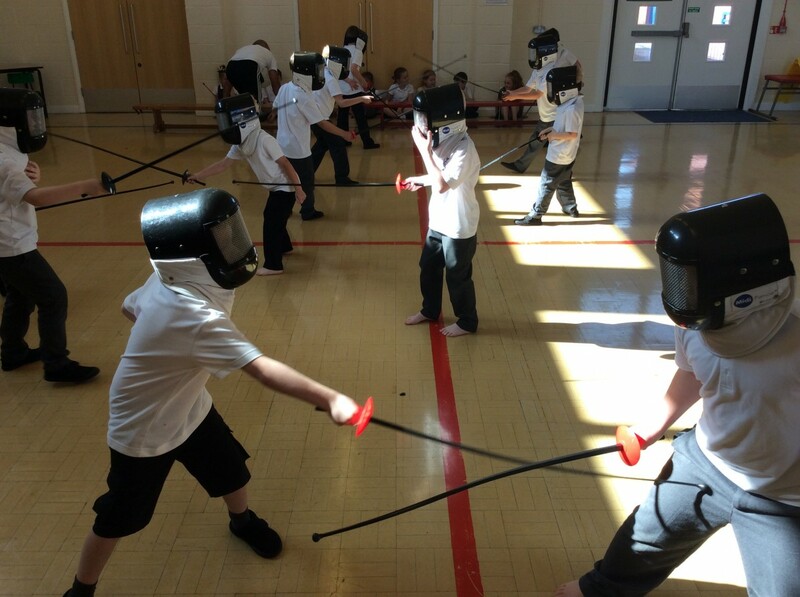 Longmoor Community Primary School | Fantastic fencing with Class 5! Fantastic fencing with Class 5! On Thursday 15th September, Class 5 were lucky to have the opportunity of a special fencing lesson! 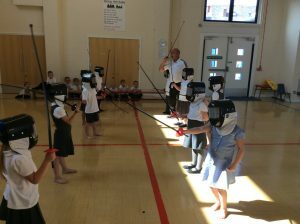 We were very excited to go into the hall especially when we saw all the foils and the special fencing clothes. 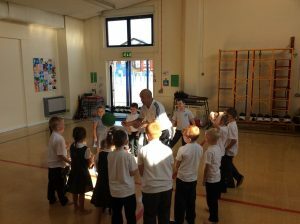 First of all we played some warm up games with Mr Lomax. Then we put on the special masks and worked in pairs using the foils. We really enjoyed our fencing lesson and can’t wait to have another turn!